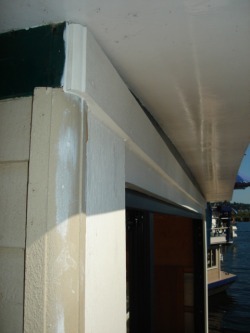 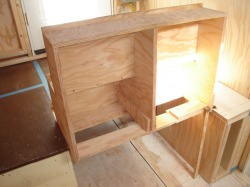 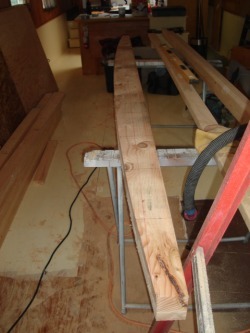 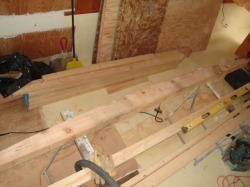 The frame is clamped in place, then shimmed and screwed in place. 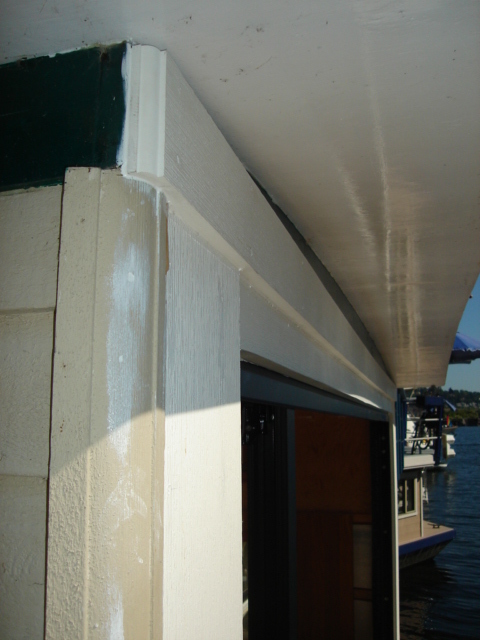 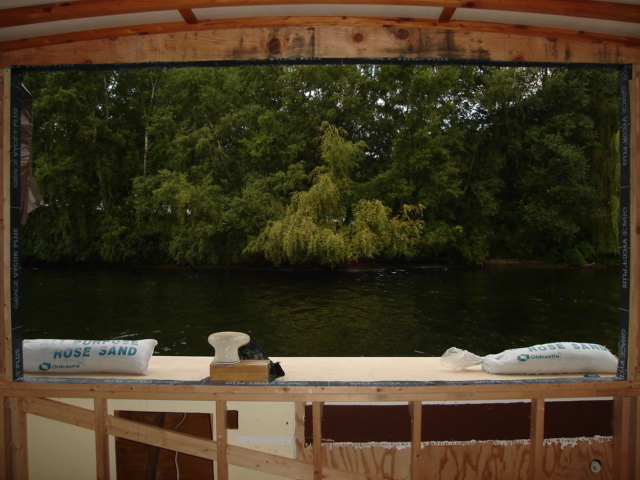 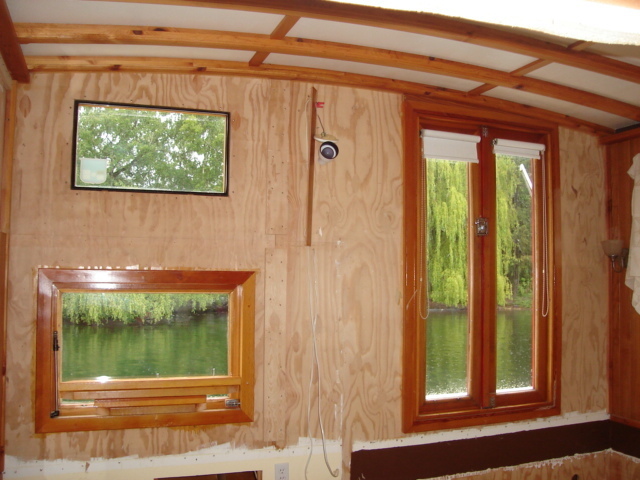 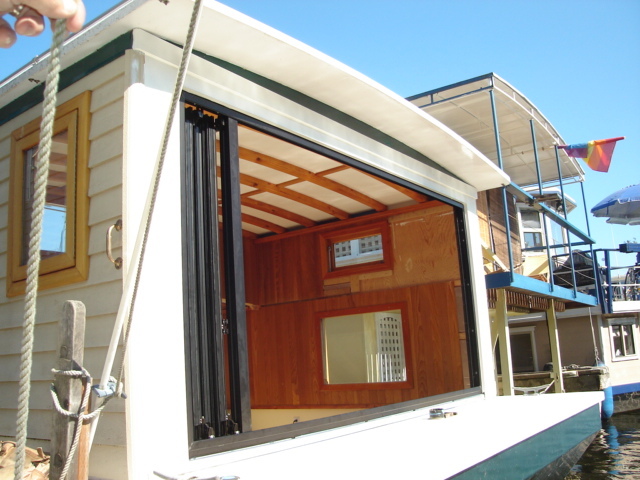 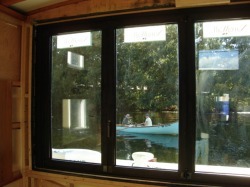 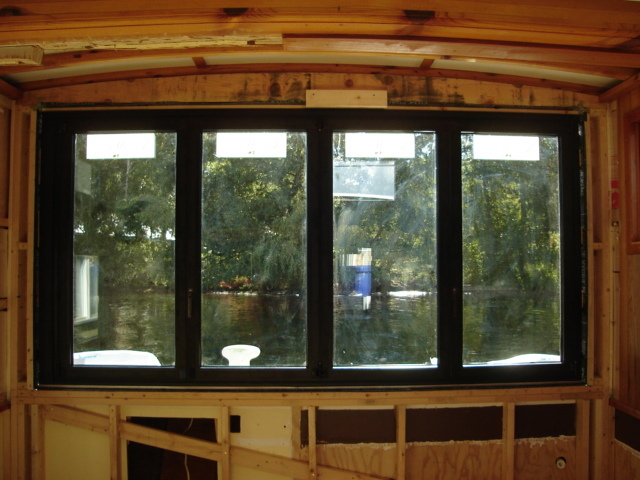 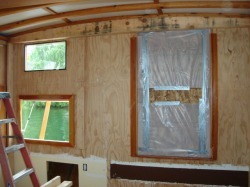 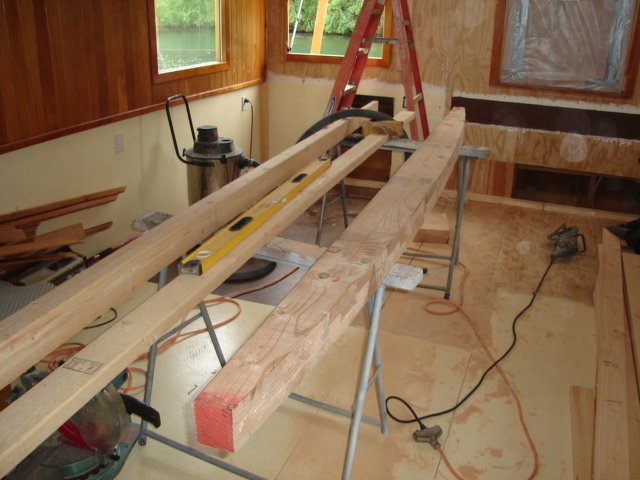 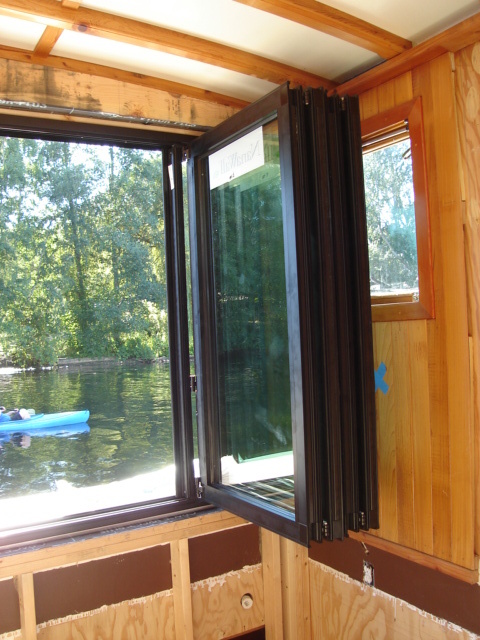 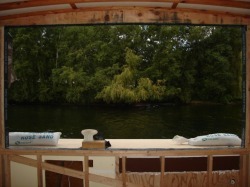 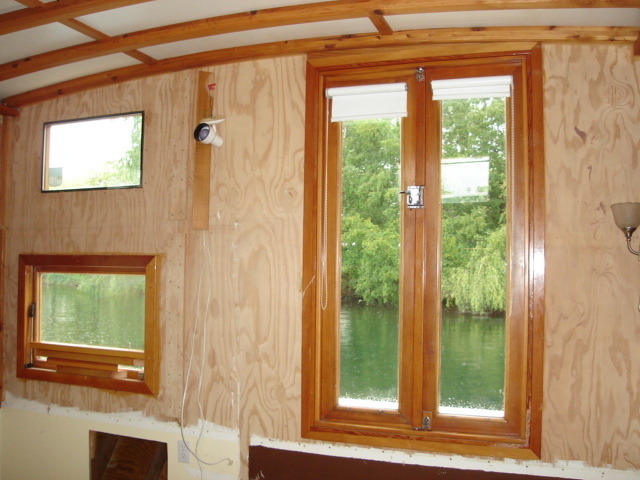 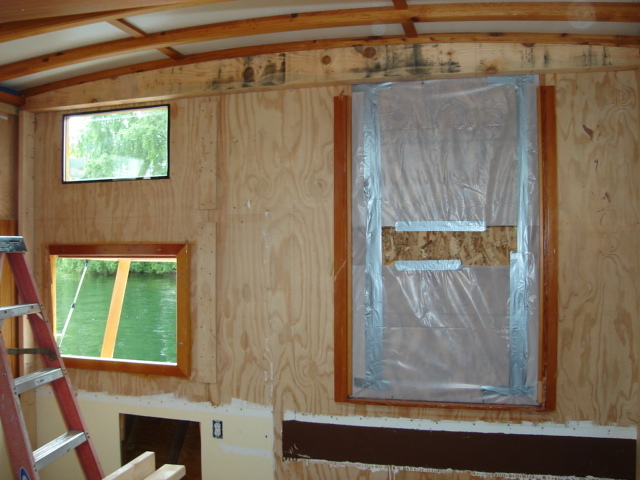 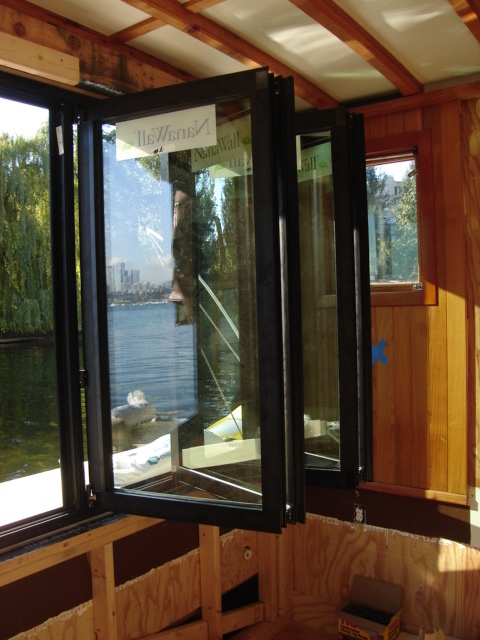 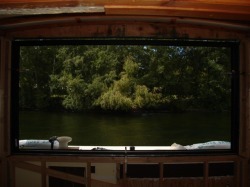 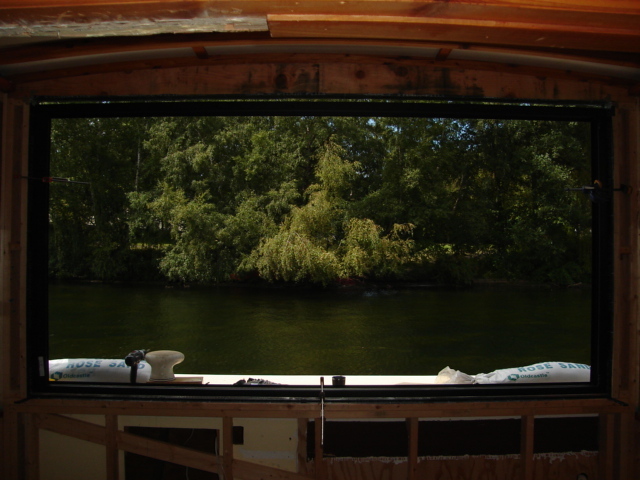 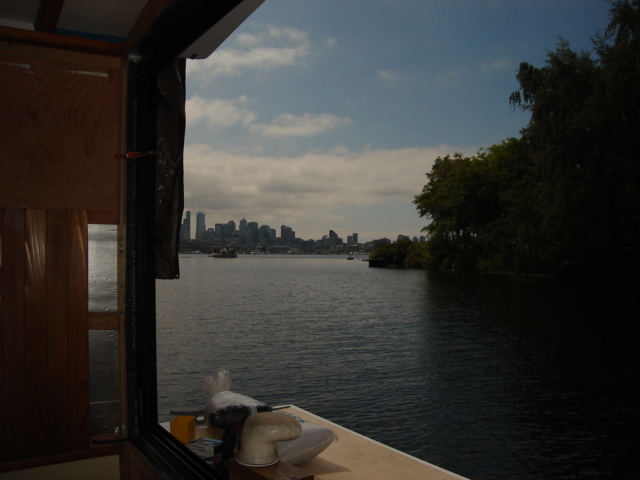 Now that the Nana Wall is in and weather tight, we've turned our attention to the other end of the boat, Last week we framed in the "wet wall" that will carry the plumbing for the kitchen and bathroom (galley and head). 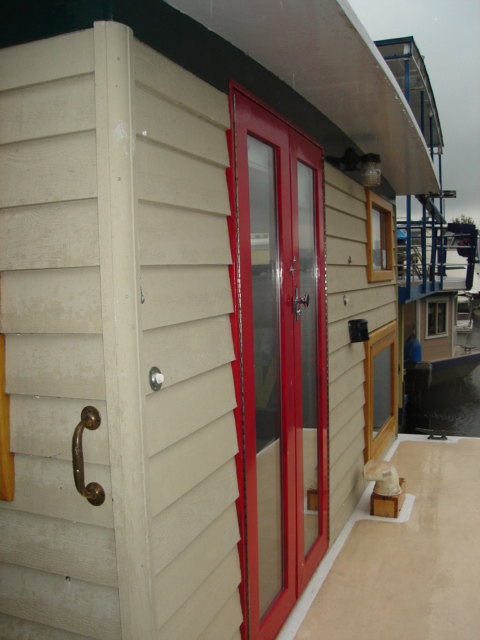 A new, full sized (6'-8") exterior door was installed in a new location, a new bathroom door was trimmed down to 6'-2" and installed. 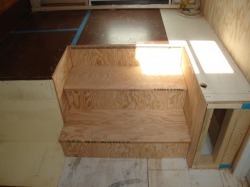 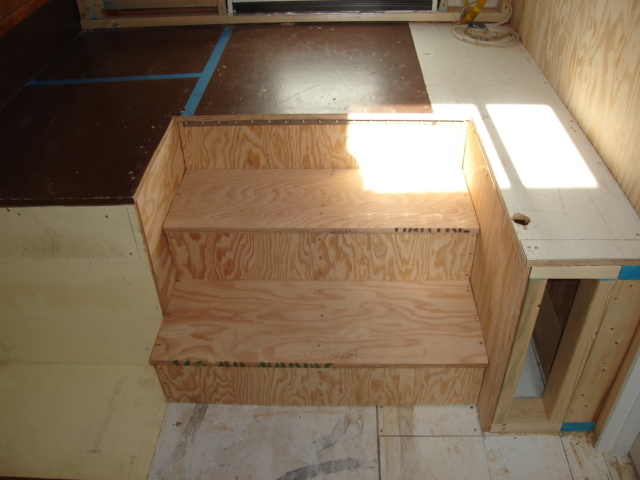 Finally, we turned our attention to the stairs, which needed to be removable to serve as access to the area under the deck. By salvaging a piano hinge from one of the windows removed to install the Nana Wall we were able to create a really easy to operate stair and hatch in one.